What’s a UFO you ask? This particular one was my first Block of the Month. I was around the age of 13 or 14 when I pieced it. Yeah, well I didn’t think so when I was blindly pushing and pulling this quilt through my small sewing machine naively freehand quilting and quilting in the ditch. Inevitably I got frustrated when I flipped the quilt only to discover that the back was full of puckers. So I folded the little huge bugger and put it in my bedroom closet. 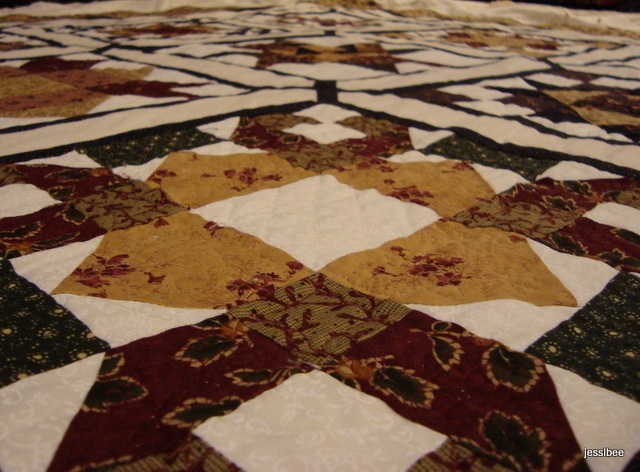 As I gazed at my quilting I am encouraged by how brave I was then. Endeavoring freehand patterns that I now wouldn’t even try for fear of ruining something. 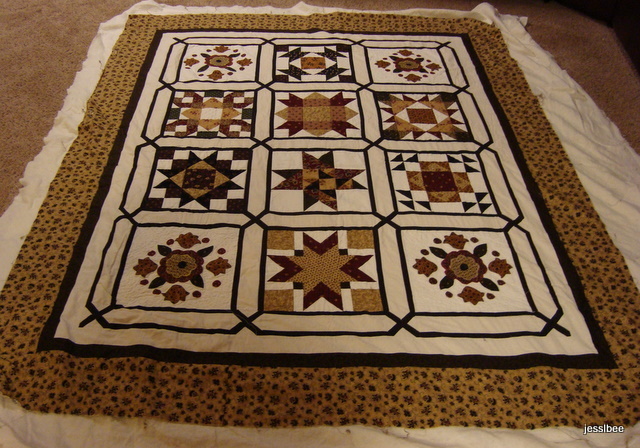 Heartened by how little quilting I have left to do – I think I will try to finally finish it. But before I do, I think will tape that quilt to our huge tiled floor and pin like crazy!!!!! !